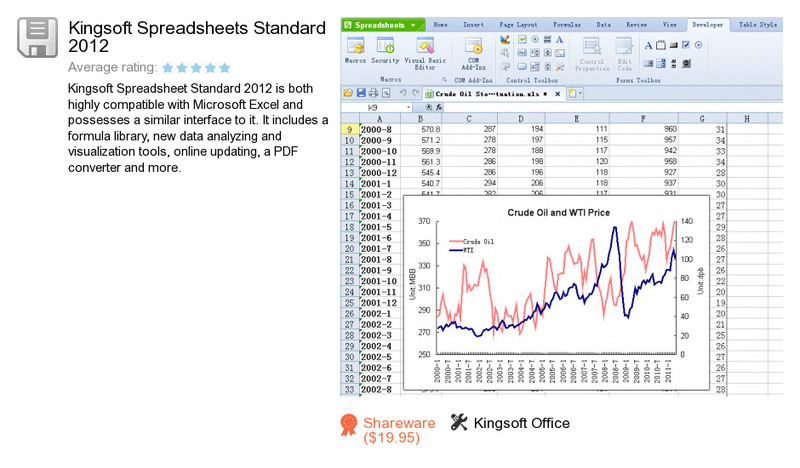 Kingsoft Spreadsheets Standard 2012 is an application developed by Kingsoft Office. We know of version 8.0. Version 8.0.3022 is available for free download at our site. Kingsoft Spreadsheets Standard 2012 installation file has a size of 45,371,314 bytes. Kingsoft Office also publishes Kingsoft Writer Professional 2012 and Kingsoft Office Suite Professional 2012.